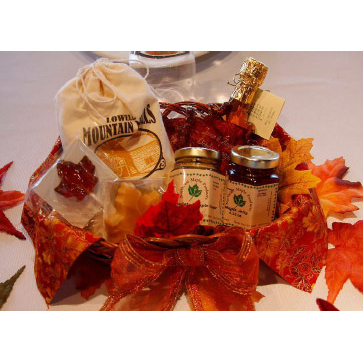 We can make gift baskets using any combination of our maple products. Pricing will depend on the products used in your basket. Call with any questions on pricing.